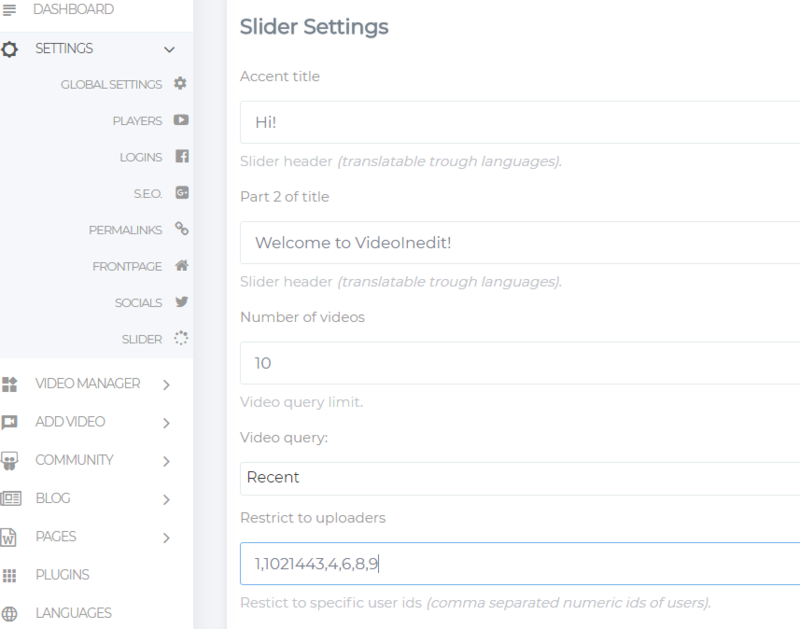 MediaVibe Video CMS has a new Slider Plugin. This slider works with changing the embed iframes of the videos and hooks via an action in the video cms, this way it takes only a plugin file which you simply have to upload and activate it. A settings page is available for the slider, on this page you can change the slider's heading and also the way it queries the videos. To install simply upload the /slider folder to /plugins on your server and activate it from the "Plugins" menu in your MediaVibe administration. After the activation you will see Settings -> Slider in your admin menu (Click Settings first). From there you can setup the few options for the slider. To remove/close, just deactivate the plugin from "Plugins". Important: Due to the nature of the embeds (iframe) this cannot detect video ended and can't play next video automatically.